Ходаковская Анастасия Евгеньевна, ученица 9 класса школы № 1199 (Москва). В статье анализируются художественные методы построения пространств кино и живописи на примере творчества голландского художника Яна Вермеера (1632—1675) и фильма «Девушка с жемчужной сережкой» (2003) режиссера Питера Веббера. Цель статьи — осмыслить возможности кино, основанного на сюжете, взятом из живописи. Одна из задач, стоящих перед автором, — понять, почему режиссер снял фильм о живописи Вермеера. Автор показывает, что, с одной стороны, «кинематографичность» живописи Вермеера усложняет задачу режиссера, с другой стороны, — упрощает, потому что с таким материалом легче работать: на каждой картине пространство уже выстроено, а все полотна Вермеера, вместе взятые, позволяют судить о закономерностях того, как это сделано. Ключевые слова: живопись, кино, Ян Вермеер, Питер Веббер, свет, пространство. 1. Волков Н.Н. Цвет в живописи. М.: Искусство, 1965. 2. Гальперин А. Глубина резко изображаемого пространства при кино-и фотосъемке. М.: Искусство, 1958. 4. Тазартес М. Вермеер. М.: Омега-Пресс, 2011. 6. Прокопенко В.Т., Трофимов В.А., Шарок Л.П. Психология зрительного восприятия: Учебное пособие. СПб: СПбГУИТМО, 2006. 7. Шевалье Т. Девушка с жемчужной сережкой. 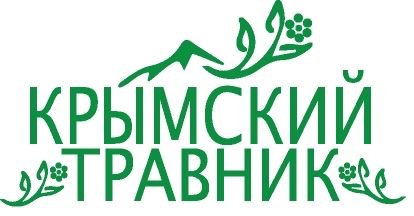 М.: Эксмо, 2014. 8. 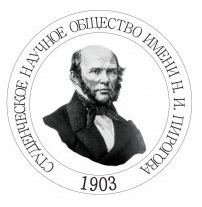 Шнейдер Н. Ян Вермер. М.: Арт-Родник, 2010. 9. Ямпольский М.Б. Пространство живописи в пространстве кинематографа // Декоративное искусство СССР. 1986. № 5. С. 39—43. 10. Ямпольский М.Б. О воображаемом пространстве фильма // Ученые записки Тартуского университета. 1988. Вып. 831. С. 127—142. 11. Bailey M. Vermeer. London: Phaidon Press, 2011. 12. Caoduro E. "Heritage Film: Nation, Genre and Representation Figuring the Past: Period Film and the Mannerist Aesthetic." Screen 54.2 (2013): 290—293. 13. Cibelli D.H. "“Girl with a Pearl Earring”: Painting, Reality, Fiction." Journal of Popular Culture 37.4 (2004): 583—592. 14. Mills A.A. "Vermeer and the Camera Obscura: Some Practical Considerations." Leonardo 31.3 (1998): 213—218. 15. Montias J.M. Vermeer and His Milieu: A Web of Social History. Princeton: Princeton University Press, 1991. 16. Morel P. "“Look at me”: The Camera Obscura and the Apprenticeship of the Gaze in Tracy Chevalier's Girl with a Pearl Earring." Mosaic: A Journal for the Interdisciplinary Study of Literature 44.2 (2011): 67—83. 17. Rizq R. "Finding the Self in Mind: Vermeer and Reflective Function." Psychodynamic Practice 11.3 (2005): 255—268. 18. Safit I. "Animating Vision: Visual Adaptation in Girl with a Pearl Earring." Comparatist 30.1 (2006): 52—67. 19. Schneider N. Jan Vermeer, 1632—1675: Veiled Emotions. 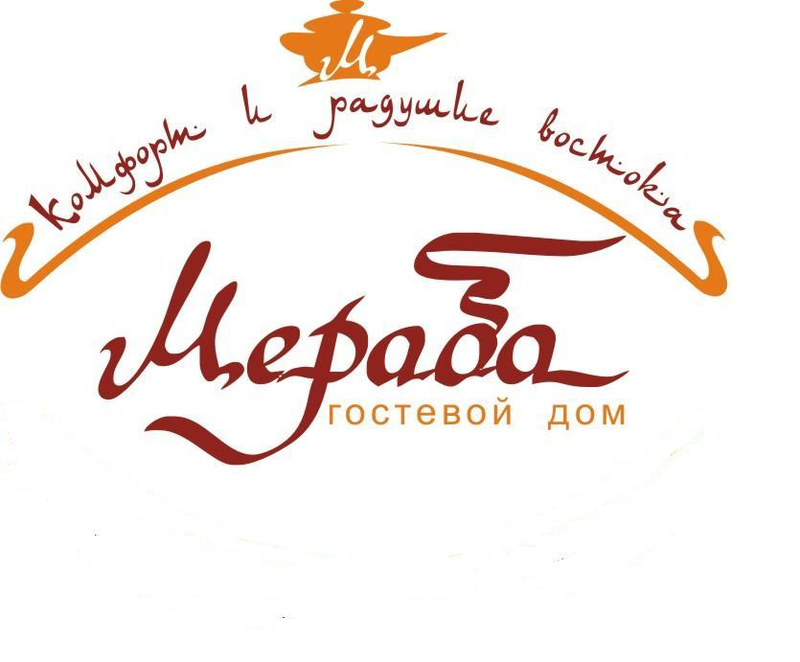 Moscow: Art-Rodnik Publisher, 2014. (In Russian). 20. Seymour C. "Dark Chamber and Light-Filled Room: Vermeer and the Camera Obscura." Art Bulletin 46.3 (1964): 323—331. 21. Sobchack V. "The Active Eye: A Phenomenology of Cinematic Vision." Quarterly Review of Film and Video 12.3 (1990): 21—36. 22. Steadman P. Vermmeer's Camera, the Truth Behind the Masterpieces. Oxford: Oxford University Press, 2002. 23. Wadum J. "Johannes Vermeer (1632—1675) and His Use of Perspective." Historical Painting Techniques, Materials, and Studio Practice: Preprints of a Symposium, University of Leiden, Netherlands, 26—29 June 1995. Eds. A. Wallert, E. Hermens, and M. Peek. Getty Conservation Institute, 1995, pp. 148—154. PDF-file. <http://www.getty.edu/conservation/publications_resources/pdf_publications/pdf/historical_paintings.pdf>. 24. Wood A. Johannes Vermeer. New York: Rosen Publishing Group, 2013. 25. Wood A. "Re-Animating Space." Animation 1.2 (2006): 133—152. "Girl with a Pearl Earring" is one of the most famous and mysterious paintings of Johannes Vermeer. Peter Webber's film of the same name is not simply one of the versions of creating of this painting. This film aimed at to solve some creative tasks: (i) expand the ‘freeze-frame’ of Vermeer's picture, (ii) show features of Vermeer's paintings, (iii) show the formation of a creative personality. All these three problems are interesting to researchers both by themselves, and because one of the interesting problems is the reconstruction of painting space in cinema with the help of cinematographic tools. So, historically conditioned relations of artistic methods of painting and cinema determine actuality of this topic consideration. In my article I attempted to compare the methods of constructing the space in the painting by Vermeer with techniques that Peter Webber uses for similar purposes. Thus, the subjects of my research are: (i) the influence of the art methods of painting on the development of cinema, and (ii) picturesque and cinematic technique for constructing space on the example of the art of painter Johannes Vermeer (1632—1675) and the film "Girl With a Pearl Earring" (2003) directed by Peter Webber. For this purposes, I use the method of comparative analysis, which helped to find similar characteristics in the works of Vermeer and Webber. I also appeal to some well-known aspects of the perception of color and light. The purpose of my article is to comprehend what film develops based on the painting. One of the objectives is to understand why Webber made a film about the paintings of Vermeer. The most important thing for Vermeer is to build the space, showing its depth. One of the main tools of the artist when performing this task is to light. In the cinema space also plays a very important role. Vermeer creates a depth of space, building it in small steps. This feature Webber also shows in the film. In my article, I try to show how the director gradually reveals Vermeer's artistic techniques, especially those associated with the reproduction of color, light and detail, as well as the way in which the protagonist's worldview changes during the film, and she becomes Vermeer's creative partner. Special attention I pay to the white color and its transformation during the film, until white color does not materialize in white pearl earrings. The plot of the film is much like a painting by Vermeer. Both the director and the artist reveals the storyline so that it does not create any unpleasant experiences, in reality, it's about color, light, space, and is based on the relationship of people. But the film develops a line of human relationships, deepening its own space. I conclude in the film we see ‘color-light’ director's comprehension of Vermeer’s creative and development of one of the leading features of his painting — and the Webber develops this ‘color-light’ line, based on the example of a particular Vermeer’s work. However Vermeer uses light as a tool not only for modeling space; the artist reveals the inner world of the heroine by means of light. Cinema, based on painting, creates a complex history of relations between the characters. The film has much more possibilities for this, and cinema develops the storyline of human relationships further than painting. However the main in this relationship is to learn ones to see ordinary things and ‘ordinary’ people ‘in a different way’ — to see them as the artist is able. Here painting still retains an advantage over the cinema. Keywords: painting, cinema, Johannes Vermeer, Peter Webber, light, space. Bailey M. Vermeer. London: Phaidon Press, 2011. Caoduro E. "Heritage Film: Nation, Genre and Representation Figuring the Past: Period Film and the Mannerist Aesthetic." Screen 54.2 (2013): 290—293. Chevalier T. Girl With a Pearl Earring. 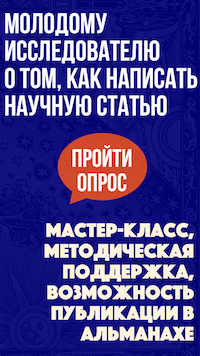 Moscow: Eksmo Publisher, 2014. (In Russian). Cibelli D.H. "“Girl with a Pearl Earring”: Painting, Reality, Fiction." Journal of Popular Culture 37.4 (2004): 583—592. "Dark Room or a History of the Camera Obscura." Physics of Classroom. N.p., 22 July 2011. Web. <http://class-fizika.spb.ru/index.php/igr/12-cam>. (In Russian). Galperin A. Depth of Sharply Imaged Space under Filming and Photography. Moscow: Iskusstvo Publisher, 1958. (In Russian). Mills A.A. "Vermeer and the Camera Obscura: Some Practical Considerations." Leonardo 31.3 (1998): 213—218. Montias J.M. Vermeer and His Milieu: A Web of Social History. Princeton: Princeton University Press, 1991. Morel P. "“Look at me”: The Camera Obscura and the Apprenticeship of the Gaze in Tracy Chevalier's Girl with a Pearl Earring." Mosaic: A Journal for the Interdisciplinary Study of Literature 44.2 (2011): 67—83. Prokopenko V.T., Trofimov V.A., Sharok L.P. Psychology of Visual Perception. 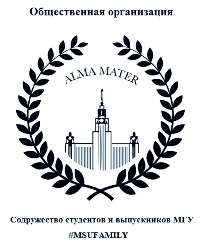 St. Petersburg: St. Petersburg State University Publisher, 2006. (In Russian). Rizq R. "Finding the Self in Mind: Vermeer and Reflective Function." Psychodynamic Practice 11.3 (2005): 255—268. Safit I. "Animating Vision: Visual Adaptation in Girl with a Pearl Earring." Comparatist 30.1 (2006): 52—67. Seymour C. "Dark Chamber and Light-Filled Room: Vermeer and the Camera Obscura." Art Bulletin 46.3 (1964): 323—331. Sobchack V. "The Active Eye: A Phenomenology of Cinematic Vision." Quarterly Review of Film and Video 12.3 (1990): 21—36. Steadman P. Vermmeer's Camera, the Truth Behind the Masterpieces. Oxford: Oxford University Press, 2002. Tazartes M. Vermeer. Moscow: Omega-Press Publisher, 2011. (In Russian). Volkov N. The Color in the Painting. Moscow: Iskusstvo Publisher, 1965. (In Russian). Wadum J. "Johannes Vermeer (1632—1675) and His Use of Perspective." Historical Painting Techniques, Materials, and Studio Practice: Preprints of a Symposium, University of Leiden, Netherlands, 26—29 June 1995. Eds. A. Wallert, E. Hermens, and M. Peek. Getty Conservation Institute, 1995, pp. 148—154. PDF-file. <http://www.getty.edu/conservation/publications_resources/pdf_publications/pdf/historical_paintings.pdf>. Webber P., dir. "Girl with a Pearl Earring." TvCok.ru. N.p., 31 Aug. 2003. Web. <http://www.tvcok.ru/film/ devushka-s-zhemchuzhnoj-serezhkoj-2.html>. (In Russian). Wood A. Johannes Vermeer. New York: Rosen Publishing Group, 2013. Wood A. "Re-Animating Space." Animation 1.2 (2006): 133—152. Yampolsky M.B. "Space of Painting in the Space of Cinema." Decorative Arts of the USSR 5 (1986): 39—43. (In Russian). Yampolsky M.B. "On the Imaginary Space of the Film." Scientific Notes of Tartu University 831 (1988): 127—142. (In Russian). Khodakovskaya, A. E. "Spaces of Painting and Cinema: Johannes Vermeer’s Painting and Peter Webber’s Film." Elektronnoe nauchnoe izdanie Al'manakh Prostranstvo i Vremya [Electronic Scientific Edition Almanac Space and Time] 7.1 (2014). Web. <2227-9490e-aprovr_e-ast7-1.2014.31>. (In Russian).